So many people tell me they can’t do push-ups, but that simply isn’t true! Now, before I continue, I just want to say that there is nothing wrong with lifting weights if that is what you like to do. I, myself, use to lift, but I just found calisthenics to be more enjoyable for me. You have to do what you enjoy in fitness. Now with that out of the way, here is why I love push-ups. 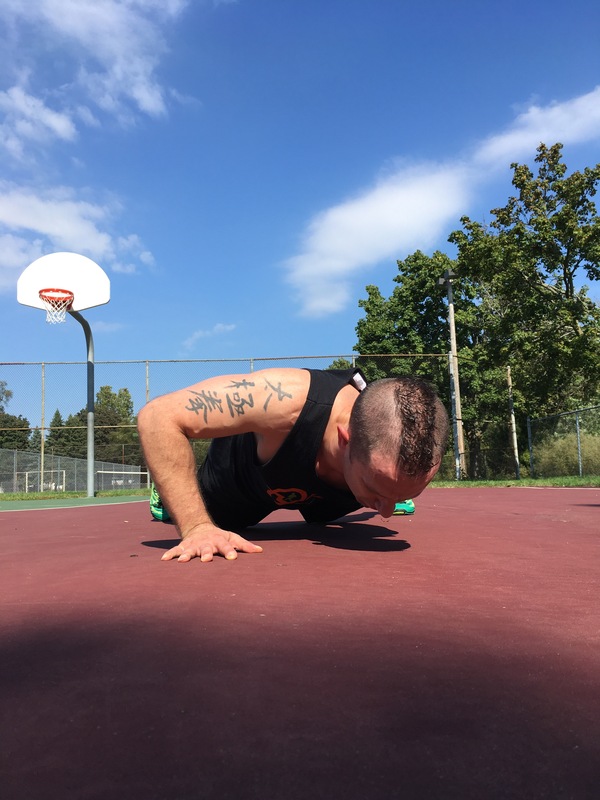 Push-ups, if done correctly, is a full body exercise. It doesn’t just hit the chest, but also the shoulders, triceps, front and back of the core, back and legs for stability. Sadly, not a lot of people use them, and the ones that do don’t always use them properly. Hand placement and body position are key to the proper movement. To help people both regress and progress their push-ups, I have put together a video tutorial to help. Granted, this shows you just the basics; it doesn’t lay out rep counts or tempo to fully progress in a workout. That is best left to meeting one on one with a trainer to build a program that fits your fitness needs. After all, we all progress differently. As always, Quest Fitness is here to help. In person and video training programs are available. Now, let’s hit those push-ups! You can find the full video tutorial here. Previous postHow much time do I need to work out?